Do you feel drawn to engage in a journey of discovery for the next stage in your life? A pastor and a lay leader teamed up to write this book of resources to guide people to consider their Christian calling in retirement. The Rev. Dr. Clayton Smith is the executive pastor of stewardship and generosity at the Church of the Resurrection in Leawood, Kansas. Dave Wilson has found joy in retirement by serving as a congregational care minister in the same church. Adults are encouraged through this book to consider their practical opportunities and possibilities for how they want to make a positive difference through the mission of their local church. 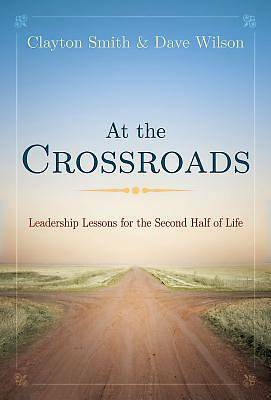 The “second half of life” in the subtitle describes a way to view one’s life and faith journey as a time of before and after. In the first half, we tend to focus on our goals to establish ourselves and gather resources for ourselves and loved ones. In the second half, we may have more stability and freedom to turn our attention to address the needs of others. We are invited to seek how God is calling us to reach out to share our time, skills, experience, and wisdom to bless others in our community and the world. Stories of people that the authors have known drive this book, rather than a traditional Bible study. Biographical narratives of a variety of individuals are included. These men and women have gone through a process of discovery in their faith journey at this life stage. Readers may be inspired by engaging the questions they faced, the choices they made, and the ways they are now using their gifts, energy, and financial resources to assist others. A six-week format for the book makes it ideal for a series at different times during your year-round stewardship plan: during Lent, in Eastertide, in the summer, or during the fall. Using this book requires little preparation time for a group discussion facilitator. This attractive book also includes journaling space for writing personal responses to reflection questions.